After just 20 minutes in Colorado heat, the temperature inside a vehicle can rise nearly 30 degrees, and because the small bodies of pets and young children heat up faster than those of adults, leaving them unattended in a parked car spells disaster. Today is the official first day of summer and the prime time for reminding summer travelers of the dangers of leaving a child or animal unattended in a car. Sadly, despite all the warnings, we still see too many news headlines noting the death of a child who was accidentally left in a hot car. The phenomenon is known as Forgotten Baby Syndrome. The same goes for animals. While temperatures do not rise as high in Colorado as in other states, parents, caregivers, and pet owners are being reminded of just how quickly temperatures can rise in a vehicle during the summer months. The Animal Protection Institute (API) notes that pets left in a car during the summer are also vulnerable to heatstroke. Like children, they are not able to handle extreme temperatures, even in a car with partially rolled-down windows. Temperatures in a closed automobile increased approximately 19 degrees in just 10 minutes. And after one hour, a closed automobile can see temperatures rise inside 50 degrees. 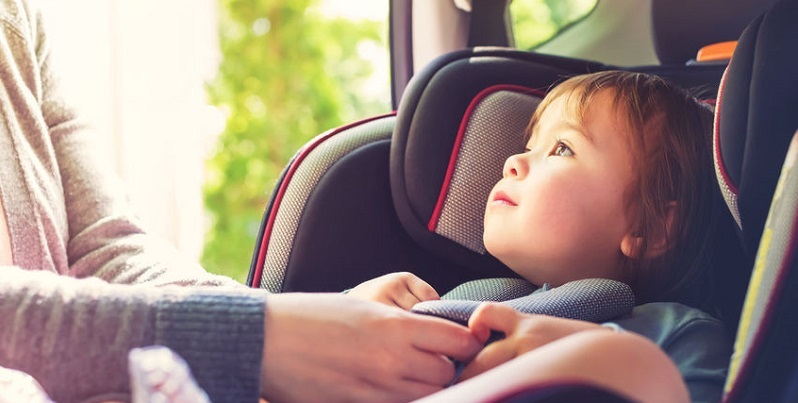 Considering that the body of a young child heats up three to five times faster than that of an adult, you can begin to understand why it doesn’t take long for a child, or an animal, to react to the heat if left unattended in a car. Sensorsafe — this is technology that is actually built into some car seats sold by Evenflo. The system uses two sensors: one is inserted into the car’s diagnostic port, and the other is in the car seat’s chest clip. The sensors communicate with each other, and once a car is stopped, a series of chimes will ring if the sensor detects that a child is still strapped into a car seat. General Motors has a Rear Seat Reminder System, which activates when a rear door is opened or closed within a few minutes of starting your car or while the car is running. When you shut the car off, a reminder will appear on your dashboard reminding you to check the back seat. Driver’s Little Helper Sensor System is another technological reminder, but in this case, the device communicates with your cell phone. A sensor is placed beneath the car seat. Using a phone app, alerts will be sent to your phone within a minute or two notifying you to check the back seat if the sensor detects a child is in the car seat. Waze is another phone app. Before you get in your car to drive somewhere, you key in your destination using the app and it will alert you to check the back seat before shutting off the car. If you are unable to purchase the technology, there is a simple step you can take that won’t cost you anything. Before leaving for your destination, put something you need in the back seat, such as a briefcase or purse. That way, when you stop, you have to open the door to get your belongings, serving as a “check back seat” reminder. When it comes to animals and parked cars, some states have enacted laws to help prevent deaths of animals left unattended in vehicles. While Colorado does not have such a law, experts say you should use common sense when deciding whether to let your pet jump in the car with you while you run errands. If the weather is too cold or too hot, you should leave pets at home where it’s safe.